Cats have a reputation for being laid back, low maintenance animals, but if you’re a first-time cat owner trying to pick out supplies before kitty comes home, they’re bound to feel very demanding. There are so many kinds of cat litter, food, and toys and no indication of what to choose besides some loose titles – kitten food versus senior food, or litter for multi-cat households. What do you really need? If you’re about to bring home your first cat, these 4 tips can make it easier to choose the right supplies, prepare your house, and help your cat adjust. Cats are great pets, but they can’t actually take care of themselves. They need some assistance from the household members with thumbs. One of the first things you need to know before buying cat supplies is whether you’re buying a kitten or an adult cat. This will determine several different things, including the type of food you’ll buy, size of the litter boxes, and what toys you choose. If you’re adopting a kitten, it’s important to remember that they may have trouble navigating a high litter box and may not be comfortable in a large bed, so supplies should suit their size. Just like you wouldn’t put a Mastiff in a tiny dog bed meant for a Shih Tzu, you shouldn’t expect a kitten to clamor into a high-sided litter box or climb a high cat tree. It takes some time for kittens to gain the necessary coordination to navigate more complex structures with confidence. When you adopt a cat, the shelter or rescue will often provide a small amount of the food and litter they’ve been using, but you should also ask them in advance what the cat prefers. Changing food abruptly can cause digestive upset in cats, so you should continue feeding them whatever they were eating before and slowly transition them to something else if you would prefer to feed the cat a different diet. Similar rules apply to litter and litter boxes. Some cats are very fussy about the type of litter they use and will refuse to use a box with a different brand of litter, never mind a different material. Start by using the same litter as the shelter or rescue, and a similar type of box. If you’re interested in using an automatic litter box with your cat, have one out and ready, but also provide a more familiar option. Kittens may struggle to get into a high automatic carrier, while other cats may not like the specified litter at first and may take some time to get used to it. You’ll need a cat carrier to bring home your new cat, and there are several different kinds available. 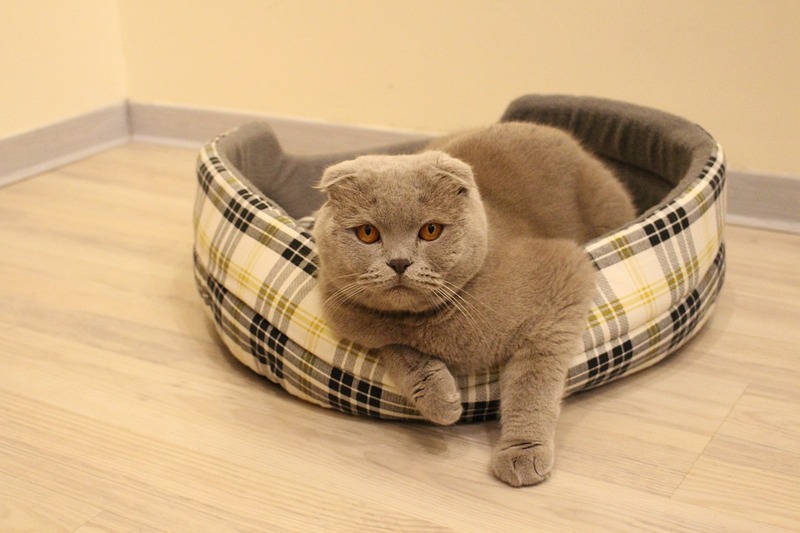 Most people are familiar with hard-sided cat carriers, but if you travel a lot and think your cat may come with you, soft-sided carriers may be preferable as they can be placed under plane seats. And don’t worry if your cat doesn’t want to get in the carrier at first – this is perfectly normal. Adding some blankets, catnip oil, and training your cat to tolerate the carrier using treats or other rewards can help them acclimate. Cats are hunters by nature, so they need plenty of toys to play with in order to express this inclination – but what kind of toys? Many pictures and stories depict cats playing with balls of yarn or just catching the mice in an old house, but neither is ideal. In fact, cats may swallow bits of yarn, causing a foreign body obstruction, and that can require surgery. And you probably shouldn’t count on mice to keep your cat entertained – most will actually stay away if they even smell a cat. Instead of yarn, try a fishing pole toy with a bird at the end or a cat charmer. These toys are great for chasing and provide an opportunity for you and your cat to play together. Other cats prefer to play independently with balls, small mice, and other hunting toys. Older cats often have an established play style that determines what they like to play with, so don’t worry if they reject certain toys; those may just be unfamiliar. Cats – even kittens – are creatures of habit, but they’re also loving, playful, comforting household pets. So contact your adoption liaison or local rescue to learn more about the cats available and then head to the pet store for the supplies. Then it will be time to bring your new furry family member home. Does Cloud Computing Make a Business Less Secure?